The school itself is located about 15 kilometres from a bridge along the lakeshore. After a little bit of initial confusion, we were driven there on dusty roads by a local motorcycle/taxi driver for about 50 Kč. At the school, they had already been expecting us, and we were accommodated in a nice house with a private bathroom very close to the lake. After we got settled we found out that we arrived just in time for the first school day. We were quite an attraction for the local children. The school complex is located by the lakeshore and it consists mainly of classrooms, teacher´s rooms, dorms and a little kitchen. There is no dining hall for the children; they eat wherever they can find a place to sit. There is a new building being built behind the kitchen that will serve as a high school. On the school premises, there are also a few smaller ponds that are used for fish breeding, a poultry farm, and a few vegetable gardens that are used to supply the school kitchen. During the tour of the school, we handed out candy to the kids, which made them really happy. Unfortunately, we didn´t have enough for everyone but at least all the youngest kids got some. But the children got even more excited about other gifts that we brought them- a football and a Frisbee. „Our“ Rose was initially a little scared of us which was quite understandable considering it was her very first school day and at the same time two white strangers came to look at her. Her initial fear turned into real horror when we walked her home after school to meet her parents and give them a few little presents. She probably thought we wanted to take her home with us, poor thing. Rose´s parents had already been expecting us. They were altogether really nice. They even prepared a delicious Nile perch for us that Rose´s father, who is a fisherman, caught himself. At that point, Rose slowly started to understand, that we were not going to take her home with us, on the contrary, that we even brought her some presents. For the first time, something like a forced smile appeared on her face. We spent about two days on the island playing with the kids, walking around the island, fishing, and talking with the locals. For most of them, meeting white men was still quite unusual, but they were all very nice. Towards the end of our stay, even Rose got used to us, and at the time of our departure she even ran out of the classroom to say goodbye and thank you to us which was very brave and also incredibly cute of her. During the whole stay on the Island of Hope, all the local employees were really nice and helpful with everything that we needed. We got to see with our own eyes and also hear from the school headmaster Josh, that the money we send to support Rose´s education are really used for this very purpose. When I was a young volunteer for Humanist Centre Narovinu in 2008 I invited Martina Slavíčková, the main coordinator in Slovakia at that time, to a grammar school in Liptovský Mikuláš to lead a seminar about development cooperation, global issues and projects of the Centre Narovinu. I had no idea what kind of impression it will leave in my classmates. 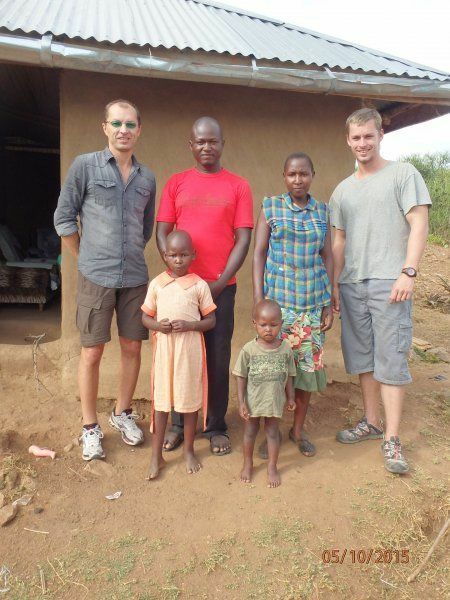 They came to me with an idea to adopt a child in Kenya together. At first I wasn´t really excited about this idea even though it was a great thought. It meant a big responsibility for a group of teenagers without steady income. After several days of thinking we finally decided to financially support Victor from Nairobi in his study at primary school. It´s been 7 years since then. We all went to different universities or jobs and that´s why I support Victor by myself with occasional help from my old classmates. Victor expressed a hope and prayers in every letter to be able to see each other face to face. This desire was mutual and God heard our voice when SlovakAid Agency approved a project of Slovak organization (Dobrá novina) which chose me for three months volunteering in Kenya. I will always remember that sunny Sunday in June when I first saw the 21 year old boy Victor coming to meet me with the local coordinator Elias. It was a little embarrassing at the beginning. Thousand questions which I had in my head just disappeared. I wanted to enjoy the exceptional moment – my dream has become a reality. Our first meeting also meant a first time in shopping center for Victor and a first time when he ate pizza. This day was full of new experiences for both of us. We finally had the opportunity to tell each other everything we couldn´t fit into our letters. After few hours we said goodbye, we exchanged our phone numbers and agreed on trip to the center of the city. 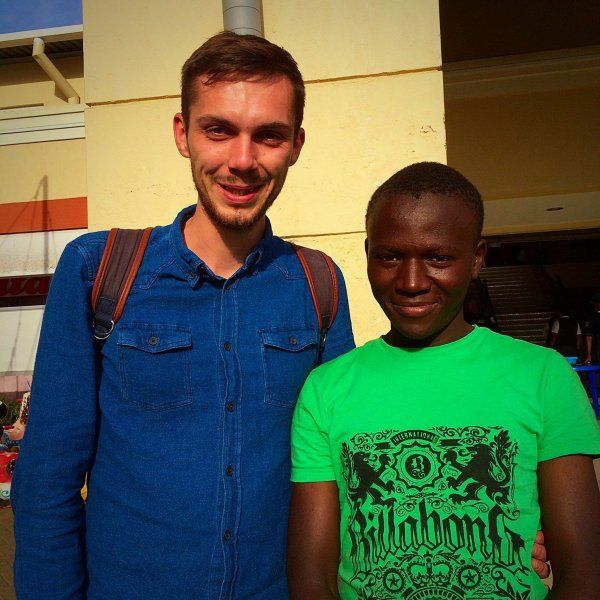 Despite the fact that Victor grew up in Nairobi he´s been in the city center only once. 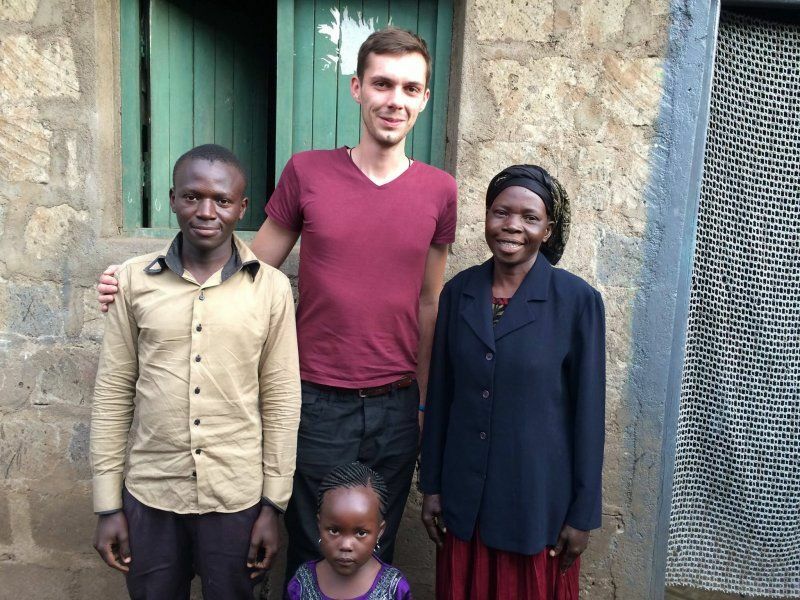 I left Kenya with a lot of different feelings and impressions. One of them was kind of a mixture of satisfaction and pride. Victor is the only one from his family and his neighborhood who made it to the college. He studies electrical engineering. He has his own dreams, visions and plans. Victor wants to return what he received and help to the others. He works really hard and he says that nothing will be achieved by sitting and complaining. He is a young man in the right place. Even though I had some doubts 7 years ago, today I don´t regret at all that my classmates talked me into the adoption and we became a part of a meaningful project like Long distance adoption. Many thanks to all those who contributed to Victor´s study – Martina Slavíčková and other Czech and Slovak coordinators of Centre Narovinu. Both contributions were editorially shortened. The entire story is available on the Czech website.